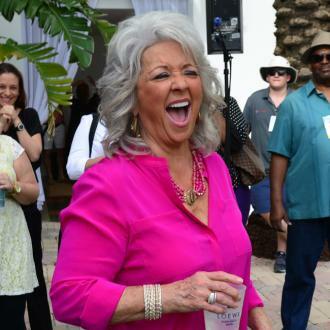 TV personality and restaurateur Paula Deen leaves a studio in New York after appearing on the Food show "The Chew". Sheltered by a large umbrella, Paula tells the photographers that the taping of The Chew was great and she had a lot of fun. Her bodyguard insists that she needs to get out of the horrible weather and she gets into the waiting car.